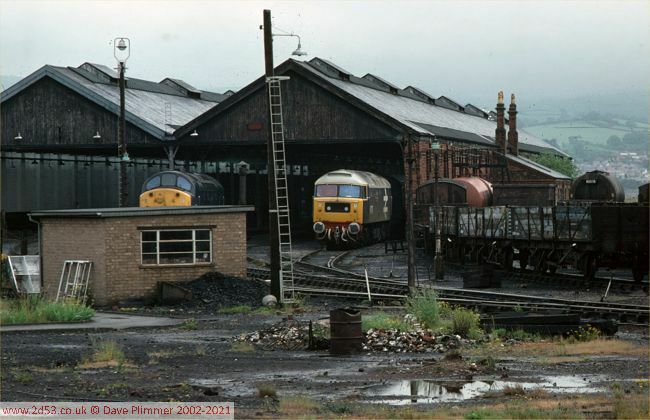 The 'shed' at Llandudno Junction was originally the carriage shed, but after the closure of the locomotive depot, it was used for stabling and refuelling locos and dmus as well as coaches, and was allocated the code LJ. The last loco officially allocated was 08126, used for shunting at Bangor, but during the A55 construction works, Chester 08's, including 08023, were stationed here. 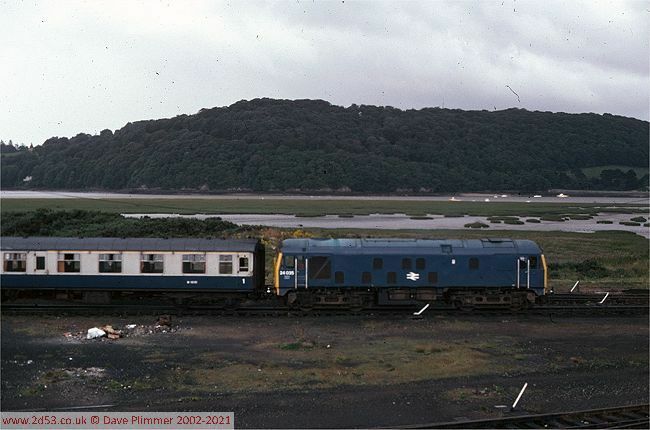 When it ceased to be used for active service, it was used for storing rolling stock, including class 151 dmus and class 508 emus. After years of disuse, the site has been cleared and a multiplex cinema built. 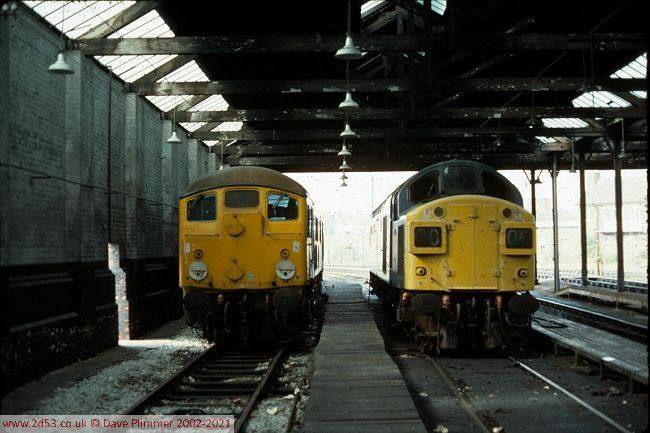 Inside the shed on 13th August 1977, 24036 and 40132 await their next turns. 10th February 1978, and two weeks after the farewell railtour for class 24s, 24035 comes off the shed at the junction to reverse and run light engine to Chester. 24035 was one of the last six 24's to survive, working through the summer of 1978. 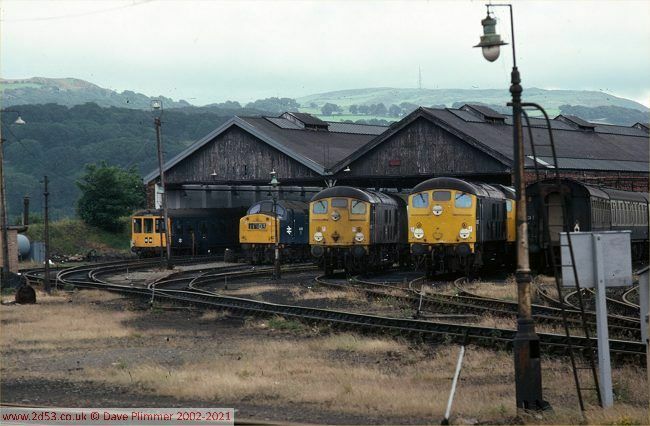 Llandudno Jcn shed on the 1st July 1978. Present are a BRCW dmu and locos 40170, 24082, 24063 and a class 25. This would be a fairly typical weekend sight, with the smaller engines awaiting their next trip workings on Monday morning. This being 1978 though, one of them (and it was going to be 24082) will get a run out on the Mon-Fri passenger diagram to Manchester and Crewe. 24035 shunts stock in the sidings on 8th September 1978. This shot was taken from the station footbridge and shows a totally different view to that seen today. Beyond the now removed sidings lie the salt marshes of the River Conwy, since reclaimed and home to Tesco. Nowadays, KFC and McDonalds occupy the site where the 24 shunts. 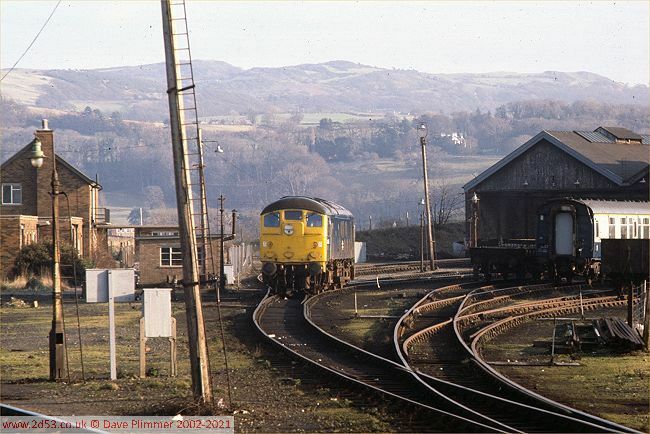 One of Stratford's white-roofed class 47's, 47170 'County of Norfolk', sits with its rake of coaching stock on-shed at Llandudno Jcn on 31st May 1980.